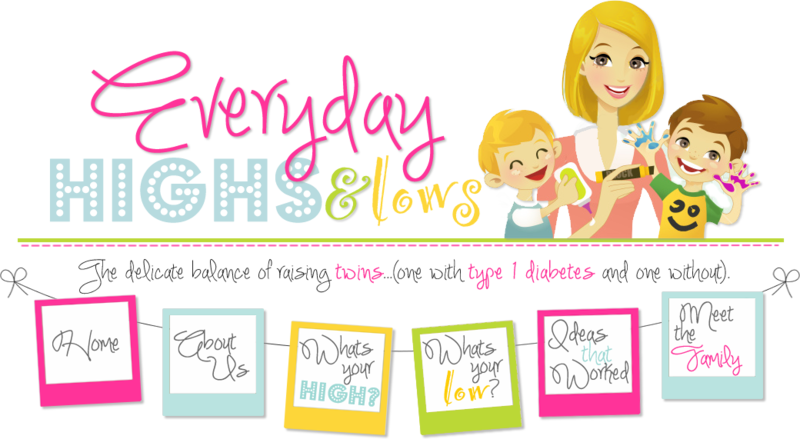 Everyday Highs and Lows: Having twins comes in handy sometimes! So, Zeke lost his two front teeth yesterday. He lost them the same way Rocco "lost" them. No old fashioned door slams for us! He also lost the exact same two teeth as Rocco. Twin thing? Maybe. It went great! He manned up and just let daddy work his magic. They came out easily! We all went up to bed to put them in the pillow for the tooth fairy to come! That is until one of the teeth fell out of the tooth fairy pillow somewhere between the kitchen and his bedroom. Between those two rooms are three other rooms including a set of stairs. Yes, each of these rooms have cream carpet. Perfectly tooth-colored cream carpet. Talk about a needle in a haystack! 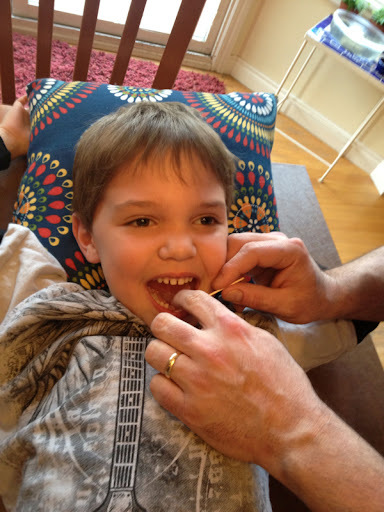 Well, Zeke started to cry and Rocco started a tooth finding mission! Duh duh duh daaaa! Rocco will definitely have a Superman complex when he gets older. He loves to come to the rescue. Zeke says he can't fall asleep until he finds it. So that of course had Michael and I on our knees helping out the mission. After about a half hour of looking, Michael and I got bored and just wanted to stop looking. Every time we tried to explain to Zeke that the Tooth Fairy will DEFINITELY (duh?) bring two golden coins, he would cry harder. Michael even pulled the old, "we can just write the Tooth Fairy a letter" trick. Until we both realized that telling a six year old to write a letter could take longer than actually finding the tooth in the cream colored carpet! Scratch that! 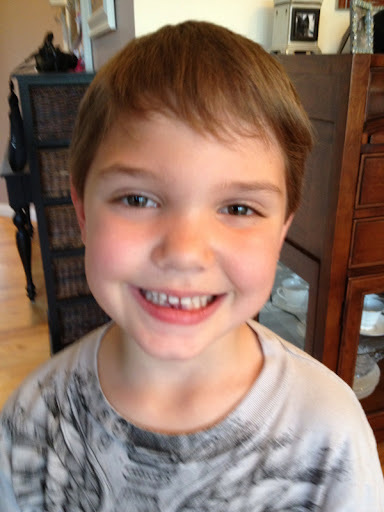 Michael whispered to me, "I wish we had a decoy tooth we could use and just trick him into believing we found it"
Hmmmmm.... Now, who do you know that just lost the EXACT same tooth about a month ago???? Oh yes, ladies and gentlemen, we did! 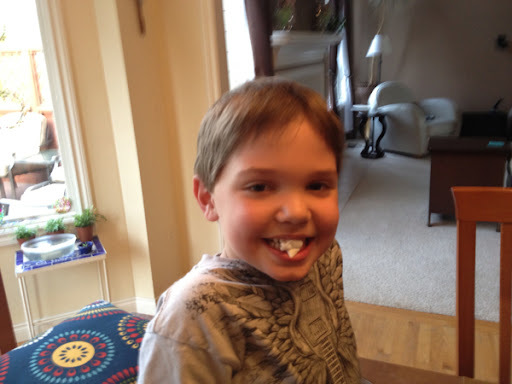 Michael ran down into my jewelry box got one of Rocco's teeth and came running up the stairs chanting "I FOUND IT!". Zeke (and Rocco) smiled two huge toothless smiles and tucked the tooth into the pillow and went right to sleep. Now we are not proud parents, however, we are crafty parents! Every family needs these kind of stories, right? Share a funny story from your family!